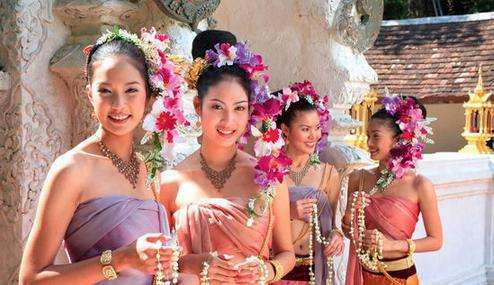 Thailand's government is offering a free class to Thai women who marry foreigners. The class teaches about the possible difficulties of such marriages. It also teaches how to avoid becoming a victim of scams or human trafficking when moving overseas. Thailand's social development ministry said that some women believe marriage to a foreigner is a way to improve their economic situation. The government has little recent information about such marriages. A 2004 government study showed that more than 15,000 women from northeastern Isan had married foreigners. That is one of the poorest areas in Thailand. Each month, these women sent a total of 122 million baht to their families. Patcharee Arayakul is the director of the ministry's division of gender equality. "Our course will teach women how to conduct themselves, about the laws of their destination country, and how to prepare before going," Patcharee said. The class covers, "legal rights, how to seek help through the relevant Thai authorities, as well as exploring issues of culture shock," said Dusadee Ayuwat, a professor who helped design it. The practical advice was very useful, said one woman who attended the class. "I was more interested in the legal aspects rather than the culture shock," she said. The woman did not want to give her name. Ploynisa Duangdararungrueng is married to a German national. She says she thinks the education could be useful for some Thai women. Her husband, Ralf Wacker, said the class could help prepare women for life in the West. "For a lot of women, life in the West is like a fairy tale, but in reality it can feel extremely isolating moving to a small town," he said. Wacker urged Thailand's government to offer a similar course for the foreign husbands. "If the Western man does not understand the family dynamics," he said, "this can cause a lot of problems." She was like a princess in a fairy tale. Progress in gender equality and women's empowerment has been uneven. She had often considered moving to London. Concern at the economic situation was reflected in the government's budget. 1. "For a lot of women, life in the West is like a fairy tale, but in reality it can feel extremely isolating moving to a small town," he said. 2. "I was more interested in the legal aspects rather than the culture shock," she said. The opposition appear to have chosen the path of cooperation rather than confrontation.